Let’s face it. 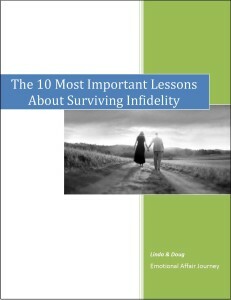 Not every marriage is going to survive infidelity. But are you really ready for divorce? It‘s probably impossible to know what percentage of marriages end in divorce as a result of infidelity. But based on the reader surveys we’ve conducted over the years, the percentage of divorced and/or separated respondents hovers around 17%. That’s a fairly large percentage indeed. We’re sure that there are many of you who may still be contemplating divorce, or who really want to file for divorce but feel that you can’t (or won’t) for various reasons. We recently came across a very informative article on Mediate.com for those of you who may be considering it: Are You Really Ready for Divorce? The 8 Questions You Need to Ask. And since the decision to obtain a divorce is one of the most crucial decisions a person can make with consequences that last for years or a lifetime, you might want to take a few minutes to read it. Most books and articles on divorce are written based on the assumption that once a couple says they want a divorce that they are ready for divorce. It is our experience as therapists and divorce coaches, who have helped many people through this process that this is in fact not the case. Usually when couples begin the divorce process, either one but more often than not, both, are not really ready for the divorce. Divorce professionals such as therapists, mediators and attorneys often believe that statements such as, “I’ve had it with him.” or “My feelings have died for her,” are indicators that the marriage is over. Attorney’s often equate being hired for their services as an indicator that the couple is ready to divorce. This is not so. Most couples who begin a divorce are unprepared and are often not even on the same page when they begin. It is this lack of preparedness and readiness for a divorce that either causes marriages to end prematurely or divorces to deteriorate into competitive contests. The decision to obtain a divorce is one of the most crucial decisions a person can make with consequences that last for years or a lifetime. A decision this important requires much greater attention than it is usually given by both couples and professionals. It is a process in and of itself. Once a couple is prepared and ready, they will sooner be able to begin their divorce by both being on the same page and this will eliminate most of the emotional and financial struggles that cause divorces to become adversarial and ruthless. The reason many people do not even think about getting ready for a divorce is because they operate under the assumption that the sooner you can get out of a stressful situation the better. So there is a natural tendency for people who are in difficult marriages to want to get the divorce over with as quickly as possible in order to move on with their lives. Family and friends often encourage this as well. They hurt for the family and so also prescribe to the myth that the quicker the divorce is over, the sooner everything will return to normal. But unfortunately in most cases just the opposite happens. Couples who make rushed decisions to leave the marriage have had no time to evaluate their feelings, thoughts or options. As a result they are unprepared for the roller coaster of emotions, the complicated legal system and the many life changing decisions that they need to make. Quite often they make agreements which they cannot sustain, and instead of the situation getting better, they often find that they have just traded one set of problems for another. So it is no wonder that they often get tangled up in lengthy court cases and the very thing they hoped for, a quick divorce, often takes years. This article outlines what couples need to do in order to face the numerous dilemmas that are inherent in divorce. A dilemma implies that you are torn between two choices, each of which have undesirable fearful elements. 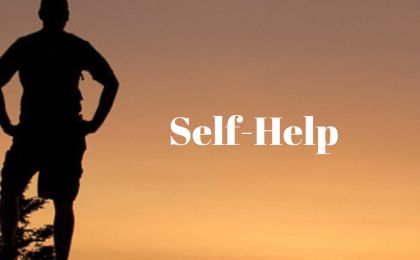 If people have not resolved their dilemmas before the divorce, they go through the process trying to manage their fear in different ways by hiding their doubt, responsibility; vulnerability, or dependency. Whether a couple is starting the divorce process or even just contemplating a divorce, they need to first identify with the following divorce dilemmas. I want the divorce, but I am not sure if it is the right decision. Since going through a divorce impacts the lives of your children, as well as your lifestyle, economics, and marital investment, the pressure to make the “perfectly correct” decision is enormous. Unfortunately, there are no guarantees. The best case scenario is to make a decision that is not emotionally based, nor driven by your ego. I only want this divorce because my marriage is not working. If this is your dilemma, then you will want to avoid responsibility at all costs by seeing your partner to blame for the demise of the marriage. There will be tremendous preoccupation and anger about how your partner caused you to make this decision. The amount of noise generated from this blaming will be in direct proportion to your unwillingness to risk expressing any of your own fears and sadness. If this doesn’t occur, the divorce proceedings to follow will be riddled with tension and conflict, and a continuation of the blaming. For divorce to be a collaborative and respectful process, the couple must be prepared and ready to separate their lives on all levels; legally, practically and emotionally. To do this each person must face their divorce dilemma by answering the following 8 questions. Many people who say they want a divorce still have strong feelings for their partner, but due to an ongoing power struggle in the relationship there is a lack of intimacy and closeness. If this is you, it is best that you work on your relationship prior to deciding to divorce otherwise your feelings of loss will overwhelm you and you may find yourself worse off after the divorce than you are now. Were you ever really married? Even as a therapist who works in the area of divorce, I had a very difficult time admitting that my own marriage of fourteen years was in fact in name only, regardless of the years that we lived under the label of husband and wife. Our pattern was to threaten to break up every few months, and we had a daily ritual of fighting, and agreements that rarely lasted more than a week. I used to joke to my wife that she needed to keep her bags packed just in case she needed to leave quickly. This pattern remained despite the numerous counseling offices we attended. It was not until I was able to acknowledge to myself that I was neither single nor married, that I was in fact nowhere, did any real change occur. We started the real divorce process two months later. Are you truly ready for divorce or are you just threatening? As a wake up call that the marriage is faltering. Is this a sincere decision based on self awareness or is it an emotionally reactive decision? To be ready to divorce your partner means being able to make a clear, unemotional decision that you can support over time. Divorce means being able to let go of all strong emotional attachments to the other person, the loving ones as well as the hostile and hurtful ones. Emotionally charged decisions do not last and if acted on do not resolve the underlying problem. People who divorce out of anger stay angry even after the divorce is over. To be ready for divorce is to have a lower emotional attachment to the person you are separating from, other wise, the divorce process itself will be roller coaster of intense feelings, including anger, distrust and hurt. What is your intent in wanting a divorce? Have you resolved your internal conflict over the divorce? I recall one woman who was totally bored with her one dimensional passive husband and she expressed what seemed like a very strong desire to leave him after 20 years of marriage. Each time she would tell me that she was going to tell him she wanted to separate, she would back off long before she got home. To help her recognize her own struggle we made a list of the consequences of divorce, and the one thing she said she could never accept was the fact that her kids would hate her for leaving their father. She said she could not risk that, no matter how bored she was. Once she owned that this unpleasant consequence of her divorcing him would be more than she could stand, she was able to think of other ways to resolve the problem of being bored in her marriage. 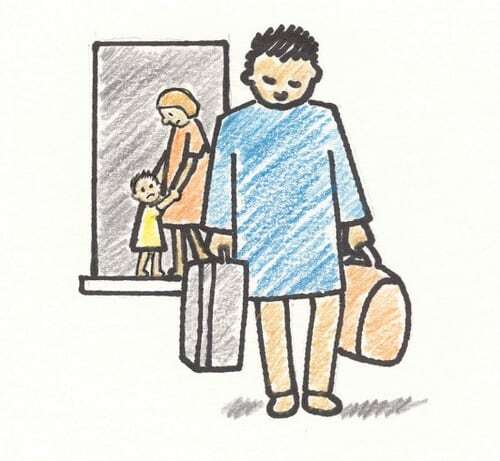 Over time she became more independent and started to travel and develop interests of her own. Are you willing to take control of your life in a responsible and mature way? It is our experience that people who prepare themselves by first addressing all 8 questions are more likely to have a collaborative divorce. By starting the process in this way they are much better able to make lasting agreements with each other, resolve their difficulties and develop parenting plans that both supports the children and respects each other’s rights. We never really even came close to considering divorce, but we know this isn’t the case for everyone. We had a neighbor who as soon as she discovered her husband’s affair, kicked him out and filed for divorce. They sold their home and moved away a short time later. We often wonder what ever happened to them. We wonder if the woman is happy and whether or not she has found someone new. And we wonder if the husband is still with his affair partner and if he is happy – or living with regret. Have you considered divorce – or are you still considering it? Please share your thoughts and/or experiences about this in the comment section below. « Previous Post Are You Really Ready for Divorce? Next Post » Are You Really Ready for Divorce? Staying After Cheating: Is It the Right Thing to Do? 4 replies to "Are You Really Ready for Divorce?" This is a really great article. Divorce is an extremely serious issue and something that cannot be taken lightly. I like that this article really looks into all of the wrong reasons that someone might get divorced. The older I get, the more I come around to the viewpoint that divorce is absolutely the last resort. Unless someone is being severely abused and always has been abused, then people should find other alternatives. On the other hand, there are scenarios when someone should get divorced. In one of my corporate jobs, I worked with a very talented woman who was on a marketing team. She crafted high-end handmade jewelry in her spare time. She always had a smile and was very outgoing. After I got to know her, she started confiding that her husband frequently hit her. In fact, each time she was pregnant, he pushed her down the stairs. He refused to stop or seek counseling. I told her that she needed to remove herself and her children from that situation, no matter what it took. I don’t know if they got divorced since they moved away soon after. My heart broke for her. She was such an amazing and talented woman and she was being regularly abused. She did not see a way out. In her case, I did believe in divorce. If someone is physically violent, there is more where that came from. I would also like to say to men out there that you should not accept chronic, physical bullying from your wife. I knew one man who finally confided (when his divorce had gone through) that there was more to the story than he had told anyone. He was just too ashamed to talk about his wife’s physically violent tempter. He felt it was unmanly to be in such a situation and he was terribly ashamed. HIs wife was not a small woman and could pack a punch. She was not someone who lost her temper once due to being shocked at something he did. (No affairs etc.) I understand that a woman could in theory slap her husband or throw something if she found out about an affair. It would likely be out of character and reaction to a great shock. So, I am not talking about women who react within a context. I am talking about a pervasive and chronic pattern that has existed during an entire marriage. This particular woman would beat her husband up if she did not get her way. It was a chronic problem. He was a short and slender man and his wife was a little taller and heavier. He had been too ashamed to seek help. No one should have to tolerate chronic violence in a relationship, whether the recipient is male or female. One of the things my therapist discussed with me was the idea of a “successful” divorce. 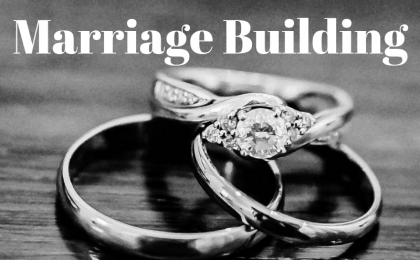 We discussed that when a person decides that divorce is the only option, you want to leave the marriage knowing you did everything possible to make it work. His suggestion was geared towards the “guilt” so many feel about the divorce and how it affects the family and children. This is not meant for people in abusive or dangerous relationships. Obviously we all know there are some relationships that divorce is the only answer. This is a really good list. Recently I feel like we are surrounded with people who are choosing divorce. 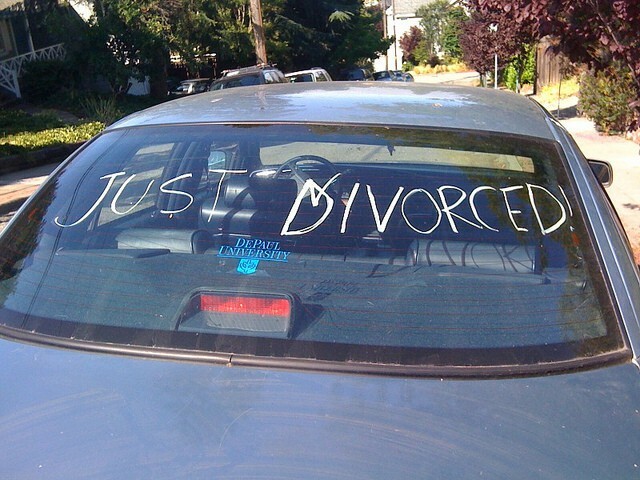 Who really knows the real reasons for the divorce. Even when there is a public explanation I feel like there is probably more to the story and also two sides to every story. It is hard seeing it all and thinking that could have been or could still be us. It breaks my heart when kids are involved. But in many cases I know it is best in the end. It reminded me of the “180”.